14 Marlborough is located on the south side of Marlborough, between Arlington and Berkeley, with 12 Marlborough to the east and 16 Marlborough to the west. 14 Marlborough was built in 1863-1864, designed in the Ruskin Gothic style. The central vertical plane of the wooden oriel originally was composed of decorative wood panels on both floors. They were replaced sometime after the late 1860s by windows, matching those on the two angles of the oriel. The land on which 14 Marlborough was built was purchased from William Thomas on March 31, 1863, by Charles Uriah Cotting, trustee for Julia A. Cotting and Charlotte C. Cotting (his second cousins). It was part of a larger parcel, with an 84 foot frontage, that William Thomas had purchased from the Commonwealth of Massachusetts on May 2, 1860. William Thomas had retained a lot with a 33.5 foot frontage to the east, where he built his home at 10 Marlborough, and sold a lot with a 25.5 foot frontage to the trustees for Harriet Jackson (Lee) Morse, the wife of Samuel Torrey Morse, where they built 12 Marlborough. Because both parties were “desirous of securing the rear of their respective lots from obstructions to light and air,” they had entered into an agreement that, for a period of twenty years, neither would build any structure more than eight feet high in the rear of the lots at any point further than 75 feet south from Marlborough (thereby creating a rear yard setback of 37 feet from the alley). The restriction also applied to the remainder of William Thomas’s original parcel, a 25 foot lot to the west. When he sold it on March 31, 1863, to Charles U. Cotting (an 18 foot lot) and Samuel F. Dalton (a 7 foot lot), all four owners of the property entered into a new agreement, retaining the 75 foot limit on the depth of the structures at 10 and 12 Marlborough, but allowing a depth of 82 feet on the lots further west, where 14 and 16 Marlborough would be built. The new agreement also expired after twenty years. Click here for an index to the deeds for 14 Marlborough. On January 1, 1864, 14 Marlborough was acquired from Charles Cotting by Sarah Anne (Boott) Jackson, the wife of Francis Henry Jackson. The deed conveying the property is for unimproved land. However, it appears likely that the house already was under construction, inasmuch as the Jacksons were living there in 1864. They previously had lived at 3 Hamilton Place. Francis Jackson was a real estate and mortgage broker. At the time of the 1860 US Census, he indicated he was an architect, and it is possible that he designed 14 Marlborough. They continued to live at 14 Marlborough until about 1868, when they moved to 302 Berkeley. On June 9, 1868, 14 Marlborough was purchased from the Jacksons by Frederick Hall Bradlee. He and his wife, Lucretia (Wainwright) Bradlee, lived at 13 Commonwealth. 14 Marlborough became the home of their son and daughter-in-law, Josiah Bradlee and Alice (Crowninshield) Bradlee. They previously had lived at 142 Tremont. Josiah and Alice Bradlee continued to live at 14 Marlborough during the 1881-1882 winter season, but moved thereafter to 247 Marlborough. Frederick Bradlee continued to own 14 Marlborough until November 28, 1887, when he transferred it to Josiah Bradlee. By the 1882-1883 winter season, 14 Marlborough was the home of Henshaw Bates Walley and his brother, Isaac C. Bates Walley. 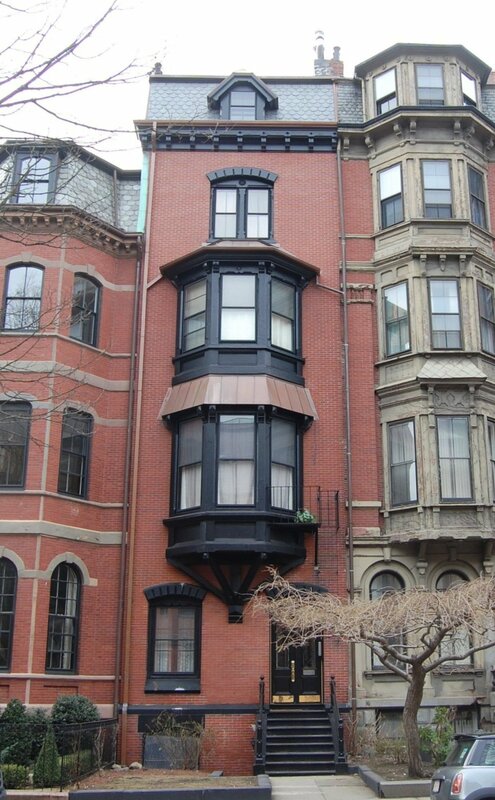 They previously had lived at the Hotel Berkeley (southeast corner of Berkeley and Boylston). Henshaw Walley was a retired banker and broker; Isaac Walley was a stockbroker. 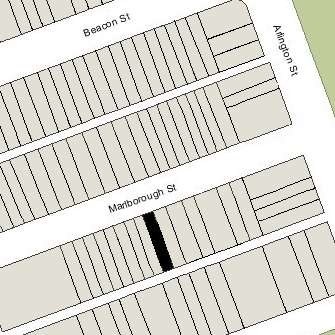 They continued to live at 14 Marlborough in 1888. 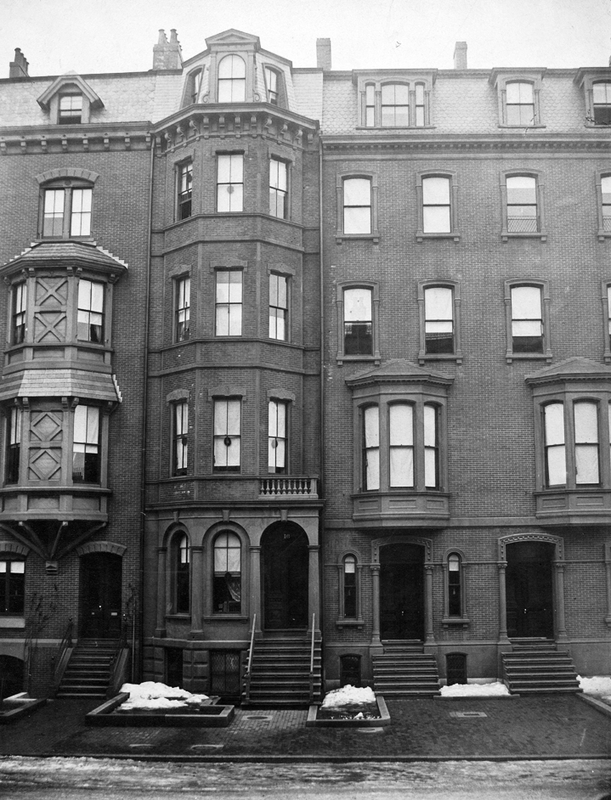 By 1890, Isaac C. Bates Walley was living at 75 Huntington and Henshaw Walley was living in Jamaica Plain. On September 22, 1888, 14 Marlborough was purchased from Josiah Bradlee by Mrs. Eliza Matilda (Alline) Bowen, the widow of James Bowen. Her unmarried sons, Dr. John Templeman Bowen and James Williams Bowen, lived with her. 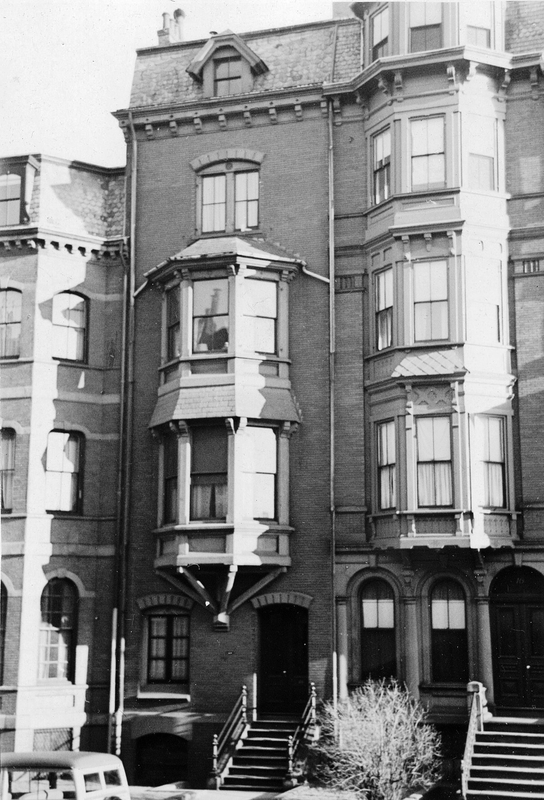 Mrs. Bowen and James Bowen previously had lived at the Hotel Brunswick (Southeast corner Clarendon and Boylston). John Bowen had lived at the Hotel Victoria at 273 Dartmouth after returning from Europe in September of 1887, where he had studied in Vienna. Dr. John Templeman Bowen, was a physician and dermatologist, and later would become a professor of dermatology at Harvard Medical School. James Bowen was a stockbroker. Eliza Bowen died in September of 1898. After her death, 14 Marlborough was inherited by James and John Bowen and their sister, Eliza M. (Bowen) Guy, wife of attorney Charles L. Guy, of New York City. On November 15, 1899, James W. Bowen and Eliza (Bowen) Guy transferred their interests in the property to John T. Bowen. In September of 1906, John T. Bowen acquired 16 Marlborough, which he leased to others. He sold the property in November of 1920. John and James Bowen continued to live at 14 Marlborough until their deaths, both in 1940: James Bowen in June of 1940, and John Bowen in December of 1940. On January 20, 1941, 14 Marlborough was acquired from John T. Bowen’s estate by Shirley Clifford Speed. In September of 1941, he filed for (and subsequently received) permission to convert 14 Marlborough from a single-family dwelling into a lodging house. By 1942, 14 Marlborough had become the home of Henry Lawton and his wife, Winifred M. (Lyons) Lawton, who operated it as a lodging house. They previously had been lodgers at 215 Commonwealth, and before that had operated a lodging house at 49 Commonwealth. On January 1, 1946, the Lawtons acquired 14 Marlborough from S. Clifford Speed. By 1946, they had been joined by their daughter, Winifred. On July 12, 1951, they added their daughter as an additional owner of the property, and on August 15, 1958, Henry and Winifred Lawton transferred the property to their daughter, Winifred. Henry Lawton died in 1959. Winifred (Lyons) Lawton and Winifred Lawton continued to live at 14 Marlborough and operate it as a lodging house. In June of 1952, Winifred Lawton acquired 12 Marlborough, joining with Marion B. Steeves and Mildred M. Baird in the purchase. Winifred (Lyons) Lawton died in February of 1968. Her daughter continued to live at 14 Marlborough until the early 1970s. On May 4, 1971, 14 Marlborough was purchased from Winifred Lawton by Anthony P. Baker. He continued to operate it as a lodging house. On January 5, 1972, he transferred the property to himself as general partner in Bay Associates LP. On July 26, 1976. the South Boston Savings Bank foreclosed on its mortgage to Anthony P. Baker and took possession of 14 Marlborough. On December 26, 1976, 14 Marlborough was acquired from the South Boston Savings Bank by Joseph Jokton DeMarco. He acquired 238 and 240 Commonwealth from the bank at the same time. During the 1980s, Joseph J. DeMarco leased 14 Marlborough to Katharine Gibbs School as a dormitory. Joseph J. DeMarco died in November of 1994. 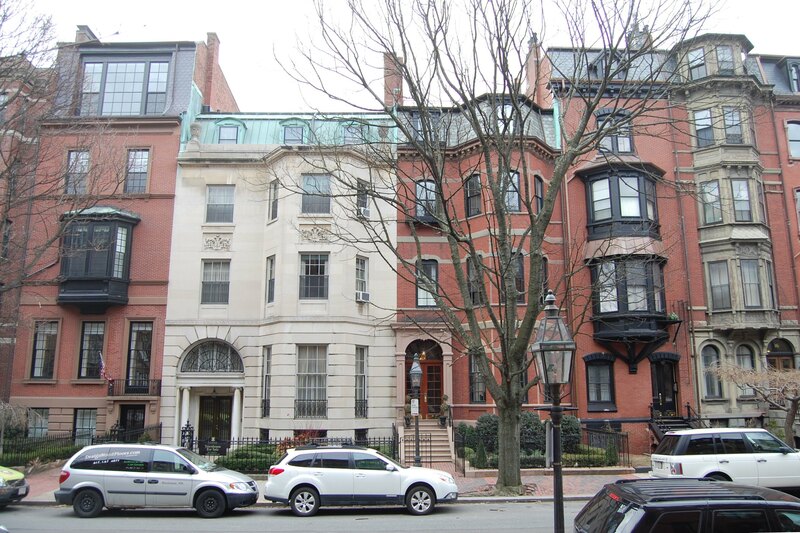 On May 14, 1995, 14 Marlborough was purchased from the estate of Joseph J. DeMarco by John Gallo, trustee of the 14 Marlborough Street Realty Trust. 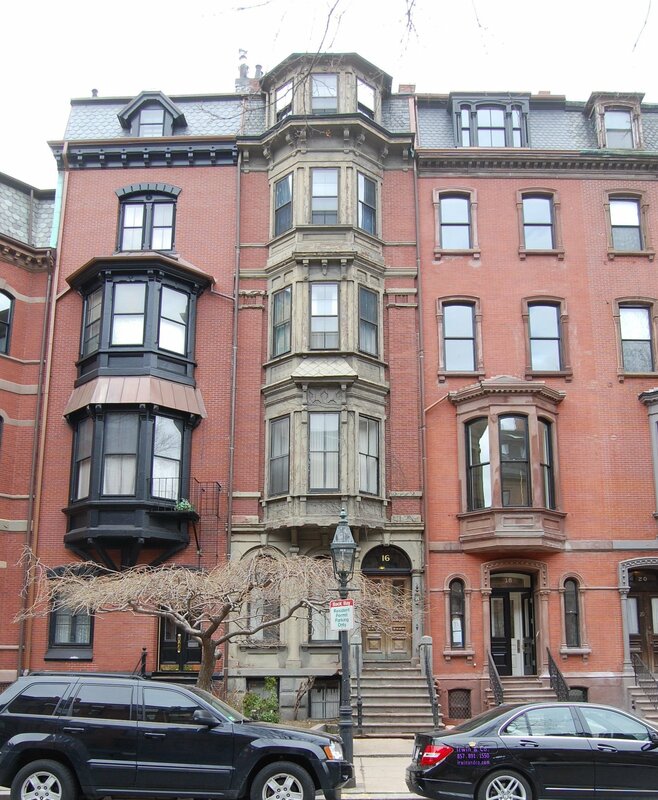 On June 19, 2012, he transferred the property to the 14 Marlborough Street LLC (of which John Gallo was the manager of record). 14 Marlborough remained an apartment house in 2015.